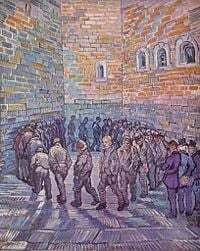 Prisoners' Round by Van Gogh. Recidivism is a relapse into a previous condition or mode of behavior, most frequently used in conjunction with substance abuse and criminal behavior. Ultimately, the goals of both the penal system and substance abuse treatment are similar: Both seek to eradicate illegal and/or socially destructive behavior. Thus, their aim is a zero recidivism rate. Elimination, or at least reduction, of recidivism not only benefits the individuals involved, who are able to maintain a lifestyle that conforms to social norms, but also benefits society as a whole. In the prison system, punishment alone is not always the best way to ensure inmates do not return to crime upon their release; recidivism data can help identify additional ways of preventing reconviction. Recidivism data can also help to improve substance abuse treatment programs evaluate the most successful methods of treatment. Generally, support either in the form of educational programs during incarceration or hospitalization, or follow-up support programs upon release, are beneficial in reducing the likelihood of relapse. Ultimately, though, preventing the first offense, whether criminal or substance abuse, is the only sure way to end the problem of recidivism. Recidivism, from the Latin for "fall back," is the relapse into a previous condition or mode of behavior. In criminology, recidivism generally refers to the act of repeating criminal behaviors even after the negative consequences of such behavior (arrest, conviction, and imprisonment) have been experienced. In legal parlance, the term "habitual offender" is used to describe one who repeatedly commits the same crime. Penalties for such offenders are more severe than for those who have committed their first crime. The practice of imposing longer prison sentences on repeat offenders than on first-time offenders who commit the same crime is nothing new. For example, in the United States, New York State has a Persistent Felony Offender law that dates back to the late nineteenth century, and many states, notably California, have adopted a "three strikes laws" which require the state courts to hand down a mandatory and extended period of incarceration to persons who have been convicted of a serious crime on three or more separate occasions. The name comes from baseball, where a batter is permitted two strikes before striking out on the third. When dealing with substance abuse, recidivism rates refer to the proportion of people who, after treatment, are reported to have returned to old patterns of drug or alcohol abuse. Various studies have tracked convicts upon their release from prison in order to obtain recidivism data. For example, the United States Bureau of Justice Statistics tracked prisoners released in 1983 and in 1994. Those released in 1983 numbered 108,580 and were from 11 states; those released in 1994 comprised 272,111 prisoners released in 15 states. Of those released in 1983, 62.5 percent were rearrested within three years; 67.5 percent of prisoners released in 1994 were rearrested within three years. Almost 47 percent were reconvicted in both groups. Of the 1994 releases, 51.8 percent were back in prison within three years either due to reconviction for a new crime or for violations of their parole. A Canadian study tracked all prisoners released during a three year period from 1994-1995 through 1996-1997, tracking the number of prisoners that were reconvicted in the two year period following their release. Reconviction rates ranged from 40.6 percent to 44.0 percent. This study cited consistency with other Canadian and international studies on recidivism. Non-violent reconvictions were found to account for the majority of reconvictions; recidivism was lower among violent or sexual convictions. A similar study in Australia tracked prisoners released in 1990-1991. Prisoners were tracked for two years after their release, and recidivism rates were based on conviction irrespective of offense type. The study found that 35 percent of males and 38 percent of females returned to prison within two years. Recidivism rates were high for younger offenders, as well as offenders sentenced for property or violent offenses. Drug and sexual offenses constituted a smaller percentage of recidivism rates. The collection and interpretation of recidivism data can be problematic. Different reports may use different criteria: A report that includes all rearrests will generally have a higher recidivism rate than one that only includes reconvictions. Not all of those who are arrested are guilty, and not all of those who are guilty are convicted; neither criteria accurately represents true recidivism rates. Additionally, many crimes committed by ex-prisoners may escape detection altogether. Portrait of Belgian astronomer, mathematician, statistician, and sociologist Adolphe Quételet (1796-1874) by Joseph-Arnold Demannez (1825-1902). While the collection of recidivism data is inherently flawed, there are nonetheless some basic patterns that can be noted. Recidivism rates are often highest among juvenile offenders; numerous studies worldwide have shown a correlation between youth and number of previous arrests. 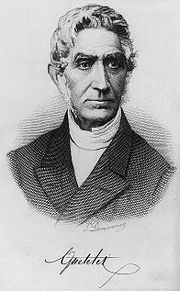 In 1833, Adolphe Quetelet, the Belgian mathematician who was influential in introducing statistical methods into the social sciences, declared that criminal behavior often peaks during the teenaged years: a finding that has been backed up by numerous studies worldwide. Other factors that have been found to predict recidivism include variety of crimes committed, alcohol abuse, and low educational attainment. Psychopathy and other measures of antisociality correlate highly with recidivism. The type of offense also appears to have an impact on the likelihood of recidivism. Violent crimes and sexual crimes tend to have lower incidences of repeat offending, while robbery and property-based crimes tend to have higher levels of recurrence. However, these data and the relative lack of success in predicting recidivism rates for violent crimes are somewhat confounded by the overall lower frequency of interpersonal crime as compared with property-based crimes, which has led to difficulty in obtaining sufficient data on recidivism for these crimes. There is a division of opinion regarding the effect of the length of prison sentences on recidivism. It has been argued that longer sentences act as better deterrents to released offenders. On the other hand, certainty rather than length of punishment may be the key to deterrence, and many offenders are more in need of treatment for addictions or remedial programs to improve literacy and provide job skills than long periods of incarceration with other criminals, which have the potential to increase rather than decrease recidivism—the danger that prison becomes a "school for criminals." Findings indicate that factors influencing recidivism rates are complex and may be offender-specific. Both the length and nature of the incarceration experience have been found to affect recidivism rates, and in different ways depending on the characteristics of the offender and the offense. Services provided both in and out of prison can lower recidivism rates. A study by the University of Pittsburgh showed that prisoners released from a county jail had a 50 percent lower recidivism rate than a comparable group when they utilized support services. Educational programs offered within the prison system also positively affect recidivism rates. A 2003 study found that New York inmates who earned their GED (equivalent to high school diploma) while in prison had a significantly lower incidence of recidivism than those who did not. This correlation was most noticeable among younger offenders (less than 21 years of age). Recidivism rates are important for a number of reasons. One of the main focuses of most criminal justice systems is to reduce the overall level of crime. The study of recidivism data can help policymakers determine which programs or policies work best at rehabilitating prisoners. Recidivism research can help identify the characteristics of repeat offenders, as well as helping create effective crime prevention strategies. Lower crime rates not only result in a sense of public safety, but also reduce the financial and spiritual cost of crime on a society. Studies on recidivism can also help determine parole policies and eligibility. Recidivism data not only serve as a barometer for programs and policies that rehabilitate prisoners successfully, but also as an indicator of programs or policies that do not work. High recidivism rates may be an indicator that improvements need to be made to the correctional system. Similarly, in substance abuse or other programs, recidivism rates can be a good measure of the success and value of a program or methodology. For example, high recidivism rates may indicate that more support is needed after completion of a program, or that aspects of the program need to be amended. Studies have shown that recidivism rates are higher for those who are involuntarily committed to a program, as well as those who use alcohol in conjunction with certain illegal drugs. This indicates that extra focus needs to be given to these patients, and perhaps alternate or additional treatment methods should be considered. It is agreed that reducing recidivism is important. However, there is less agreement on how to accomplish this. Many ideas have been proposed, including greater use of supervision, such as the use of halfway houses and general monitoring of convicts upon their release, literacy and other educational programs in prisons, as well as the implementation of treatment for drug and alcohol abuse. There are differences between substance abusers and convicted criminals: Substance abusers suffer from psychological and physical addictions, and some may not have broken any laws (such as many alcoholics and those addicted to prescription drugs), whereas criminals have opted to commit illegal or violent acts. However, there is often a connection between substance abuse and criminal behavior: Addicts may steal to support their habit, and a significant number of prison inmates suffer from substance abuse. Ultimately, the goals of both the penal system and substance abuse treatment are similar: Both seek to eradicate illegal and/or socially destructive behavior. If illegal drug use is part of the cause of an inmate’s conviction and imprisonment, it makes sense that substance abuse treatment should be included in their sentence. Punishment alone will not address the psychological and emotional aspects of drug addiction. Research has shown that prisoners who participate in substance abuse treatment with aftercare are significantly less likely to return to prison or drug use. A 1999 study showed that only 27 percent of prisoners involved with such a program returned to prison, compared with 75 percent of those not in a treatment program. In both substance abuse programs and prisoner rehabilitation programs, studies have shown that follow-up care is one of the major influences on recidivism rates. Prisoners who are released into a supervised halfway house for an assigned period are re-convicted at nearly half the rate of those who are released with no supervision. The impact of supervision, support programs, and follow-up after release in reducing recidivism also provides more data on the process. It is likely that recidivism is affected not only by factors that caused an individual to commit the initial crime, the offender's personal characteristics, but also by post-release factors, the "dynamic local antecedents, both responses within the offender and identifiable events in the external environment" which preceded the return to criminal activity. When these factors are better understood, efforts to reduce recidivism can be more successful. While eliminating recidivism altogether may seem like an impossible task, the collection and evaluation of recidivism data can certainly help prisons and substance abuse treatment programs to successfully rehabilitate prisoners and addicts. Not only does this benefit the individuals involved, but also lowering recidivism rates will benefit society as a whole. Ultimately, though, preventing the first offense, whether criminal or substance abuse, is the only sure way to end recidivism. ↑ Franklin E. Zimring, Gordon Hawkins, and Sam Kamin, Punishment and Democracy: Three Strikes and You're Out in California (New York, NY: Oxford University Press, 2001, ISBN 0195136861), 4. ↑ Bureau of Justice Statistics, Reentry Trends in the U.S.: Recidivism, U.S. Department of Justice, Bureau of Justice Statistics, October 25, 2002. Retrieved January 20, 2009. ↑ James Bonta, Tanya Rugge, and Mia Dauvergne, The Reconviction Rate of Federal Offenders 2003-02 (Public Works and Government Services Canada, June 27, 2003). Retrieved August 18, 2011. ↑ 4.0 4.1 Jason Payne, Recidivism in Australia: Findings and Future Research (Australian Institute of Criminology, 2007, ISBN 978-1921185496). Retrieved January 20, 2009. ↑ 5.0 5.1 5.2 5.3 Edward Zamble and Vernon Quinsey, The Criminal Recidivism Process (Cambridge University Press, 2001, ISBN 0521795109). ↑ 6.0 6.1 Lin Song and Roxanne Lieb, Recidivism: The Effect of Incarceration and Length of Time Served, Washington State Institute for Public Policy, September 1993. Retrieved January 20, 2009. ↑ Sharon Blake, Support Services for Inmates Reduce Recidivism Rates, Pitt Study Finds, Pitt Chronicle, February 18, 2008. Retrieved January 20, 2009. ↑ John Nuttall, Linda Hollmen, and Michele Staley, The Effect of Earning a GED on Recidivism Rates, Journal of Correctional Education, September 2003. Retrieved January 20, 2009. ↑ Neil M. Thakur, Rani A. Hoff, Benjamin Druss, and James Catalanotto, Using Recidivism Rates as a Quality Indicator for Substance Abuse Treatment Programs, Psychiatric Services 49:1347-1350, October 1998. Retrieved January 20, 2009. ↑ Psychology Matters, Prison Substance Abuse Treatment With Aftercare Reduces Recidivism, American Psychological Association, March 23, 2004. Retrieved January 20, 2009. ↑ Connecticut Department of Correction, Recidivism, June 2008. Retrieved January 20, 2009. Maruna, Shadd. Making Good: How Ex-Convicts Reform and Rebuild Their Lives. American Psychological Association, 2001. ISBN 1557987319. Maltz, Michael D. Recidivism. Retrieved January 20, 2009. Orlando, FL: Academic Press, Inc, 2001 (original 1984). ISBN 978-0124689800. Payne, Jason. Recidivism in Australia: Findings and future research. Retrieved January 20, 2009. Australian Institute of Criminology, 2007. ISBN 978-1921185496. Searcy, Joshua. Correctional Education, Programs, Services, and Inmate Recidivism: Education, Programs, and Services for Inmates. VDM Verlag, 2008. ISBN 363908621X. Song, Lin, and Roxanne Lieb. Recidivism: The Effect of Incarceration and Length of Time Served. Retrieved January 20, 2009. Washington State Institute for Public Policy, 1993. Zamble, Edward and Vernon Quinsey. The Criminal Recidivism Process. Cambridge University Press, 2001. ISBN 0521795109. Zimring, Franklin E., Gordon Hawkins, and Sam Kamin. Punishment and Democracy: Three Strikes and You're Out in California. New York, NY: Oxford University Press, 2001. ISBN 0195136861. This page was last modified on 25 June 2015, at 21:39.